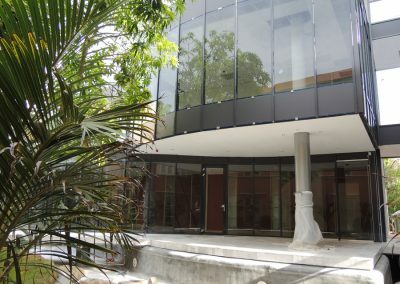 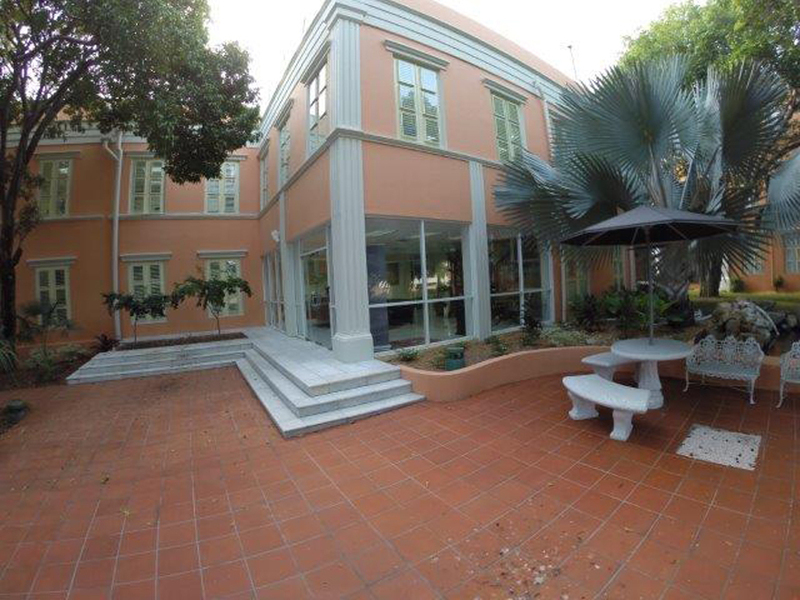 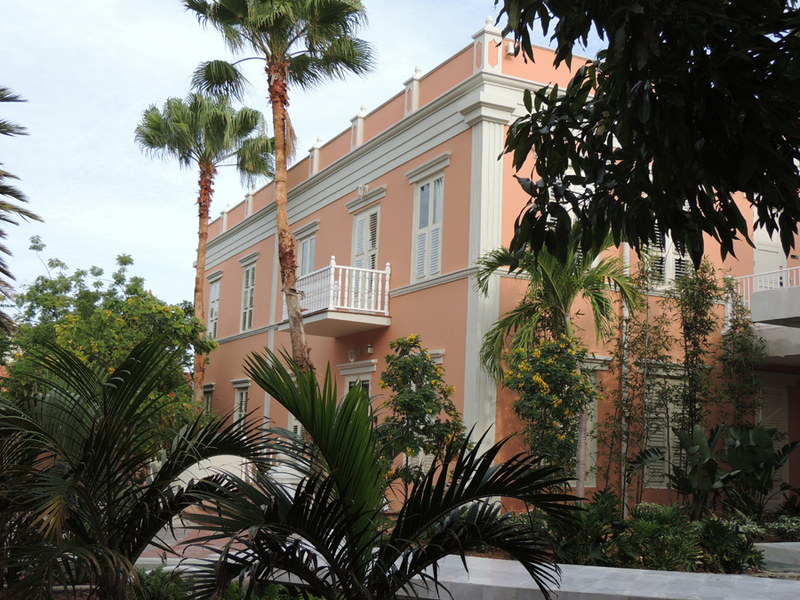 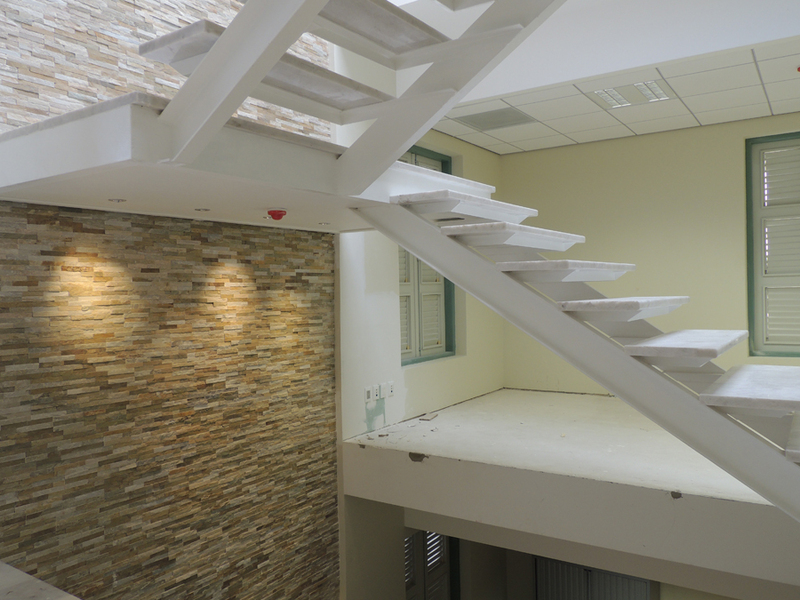 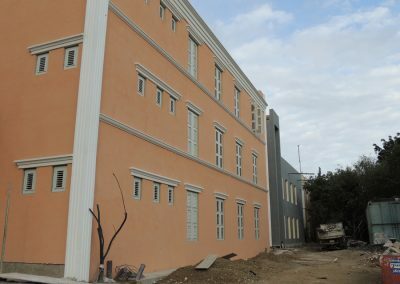 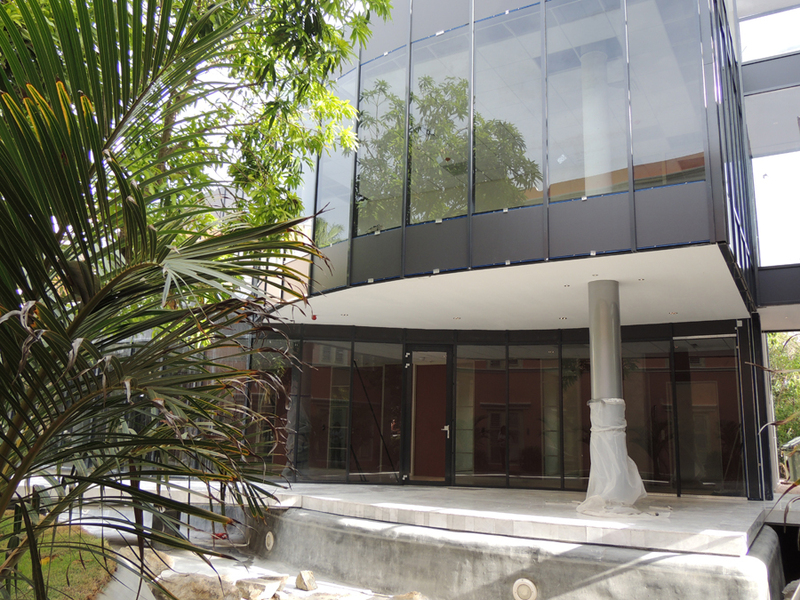 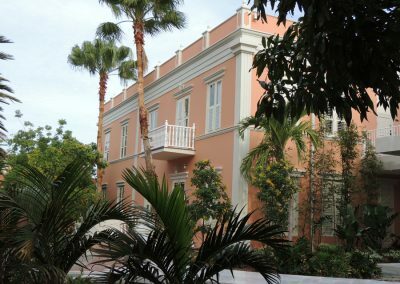 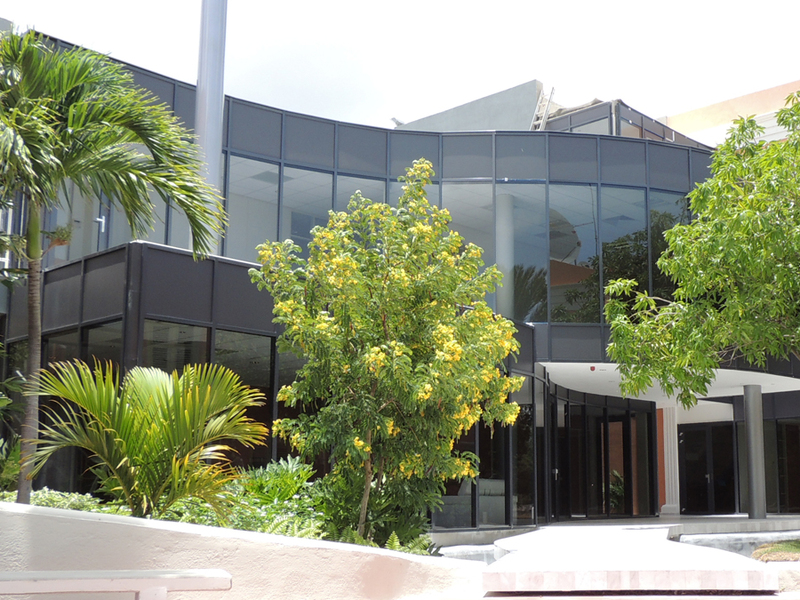 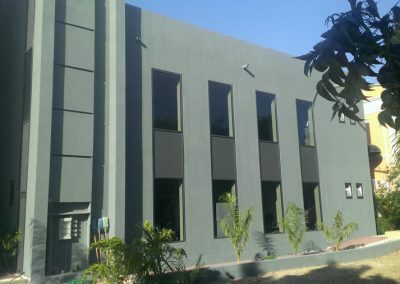 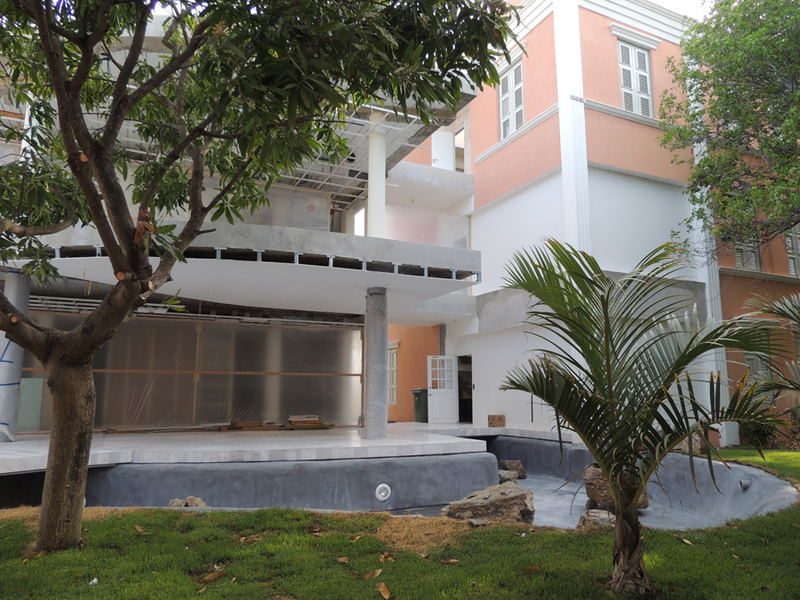 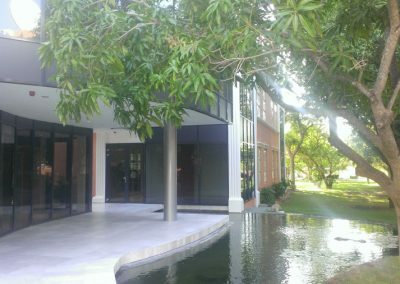 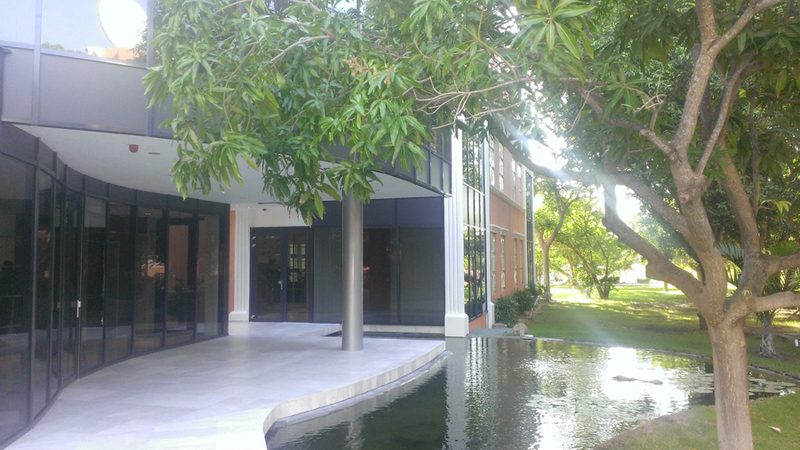 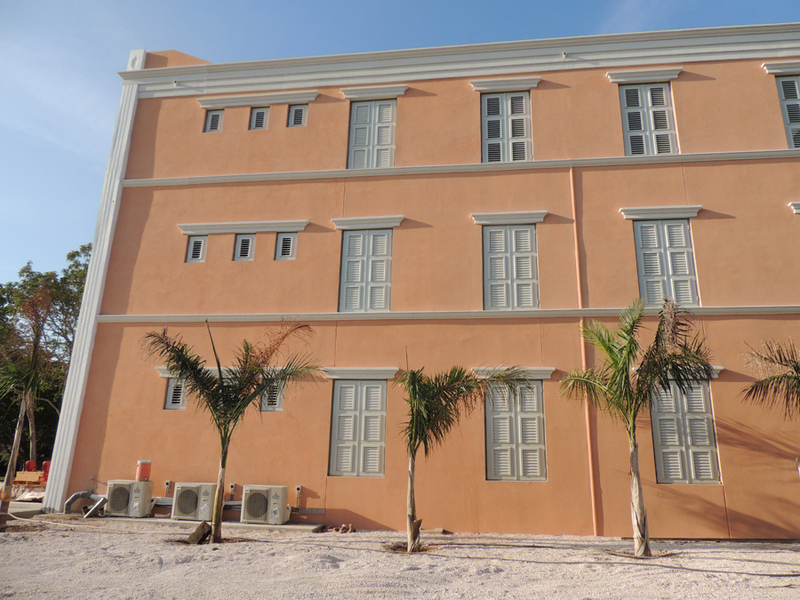 Located on the Caribbean island of Curaçao in the Dutch Antilles, this project began as an addition onto a colonial bank building originally built in 1778. 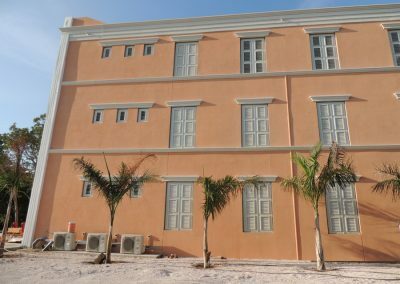 The addition needed to mimic the finish details of the original bank and also withstand the harsh tropical climate, which has high year-around temperatures, ocean salt-spray, and the threat of hurricanes. 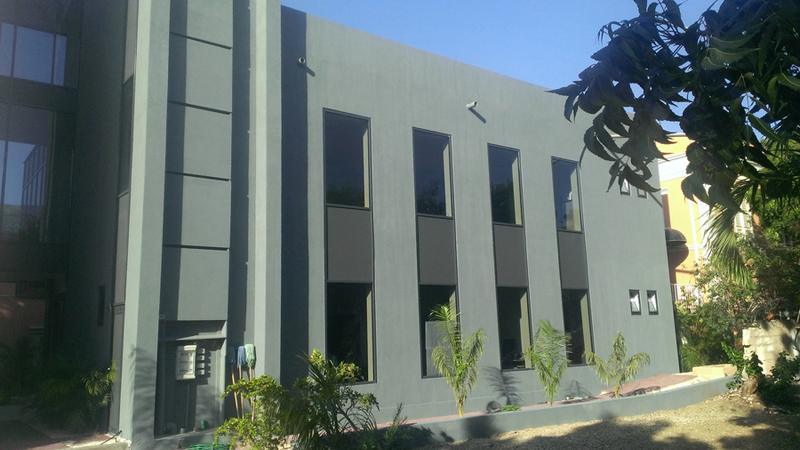 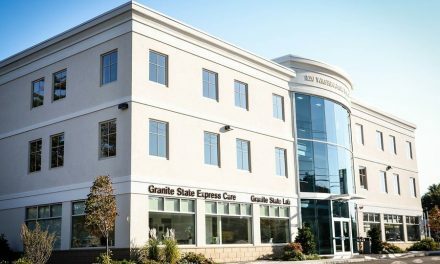 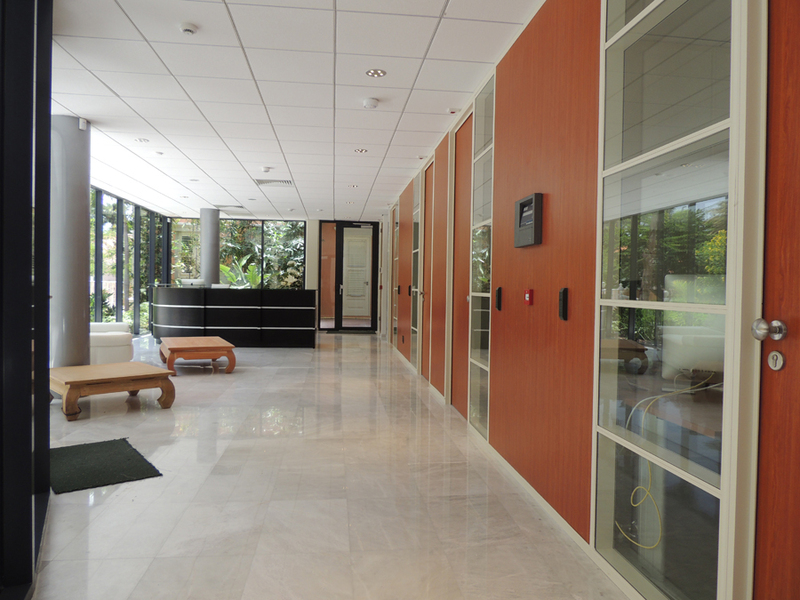 Finally, because of the climate, air conditioning is a must for commercial offices, but it comes at a very high cost for traditional block-constructed buildings. 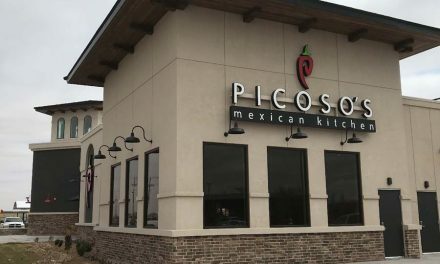 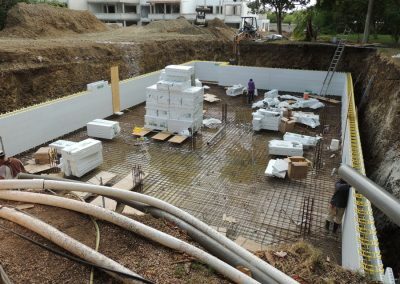 A local electrical contractor, Arjen van der Meulen, was invited to bid on that portion of the project. 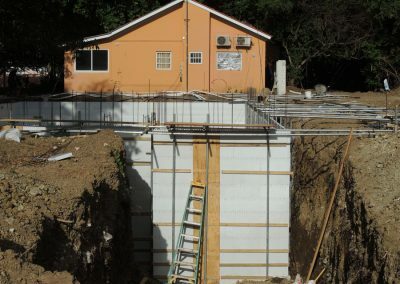 He also happens to own an ICF company, and after reviewing the project details, was certain that this technology could bring significant benefits to the owner. 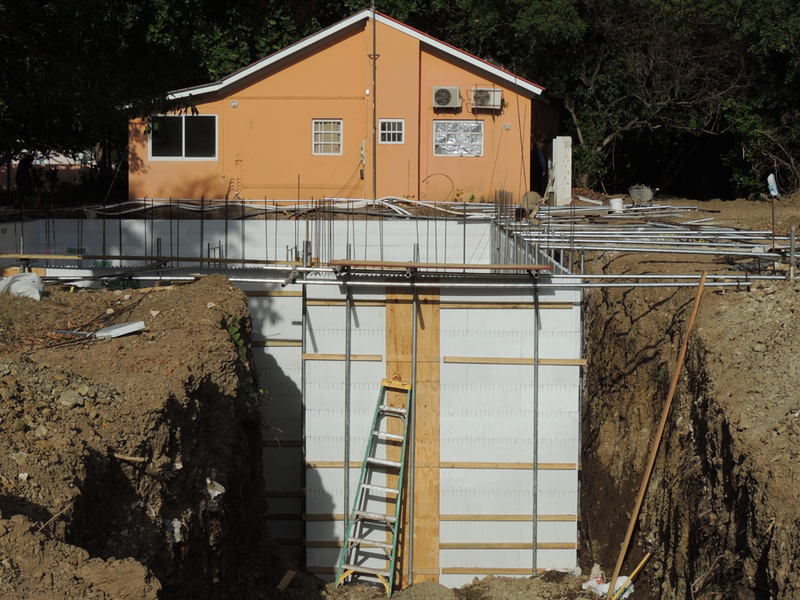 He arranged another meeting and presented his case for switching from concrete block to ICF. 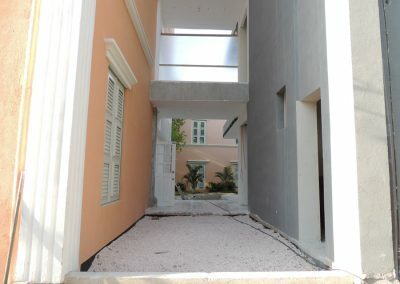 The owner was already committed to green and sustainable construction techniques, and quickly grasped the advantages. He asked his engineer and contractor to come back with a revised plan, and after spending some additional time with Van der Meulen, the team was convinced. 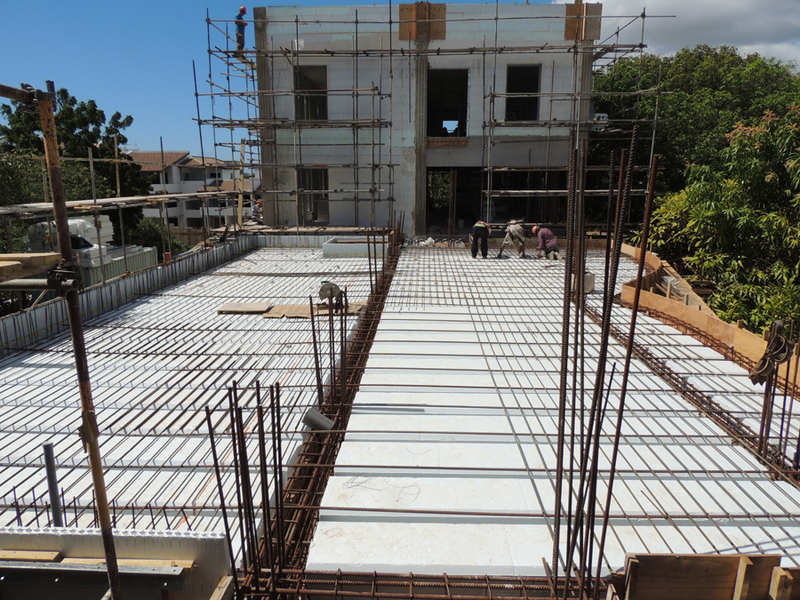 Van der Meulen’s firm, Green Building Technologies, was contracted as the ICF installer, and recommended Quad-Lock ICFs, as they were already familiar with the system. 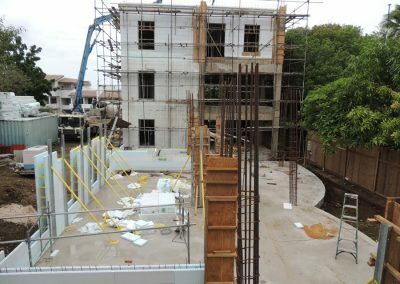 In order to save on concrete consumption, a smaller wall cavity was called for on the upper stories by the project engineer. 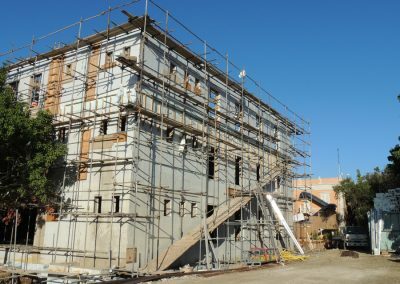 The solution was to transition from a 2¼” panel system on the bottom floor to a 4¼” outer panel on the main and second floors, which created the smaller interior cavity while keeping the overall wall thickness unchanged. 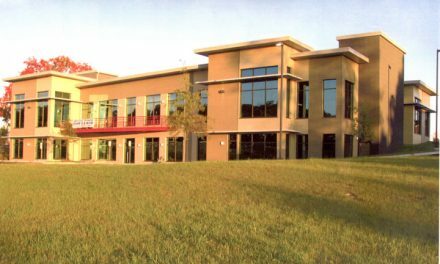 This bumped the R-value of the upper stories beyond R-30. 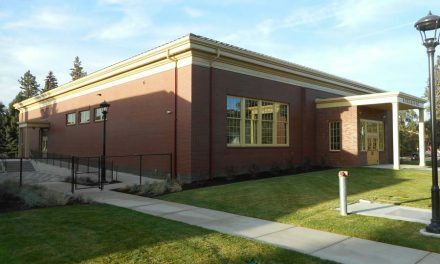 The project was well underway when the idea was suggested to build an annex between the new ICF bank and the historic structure. 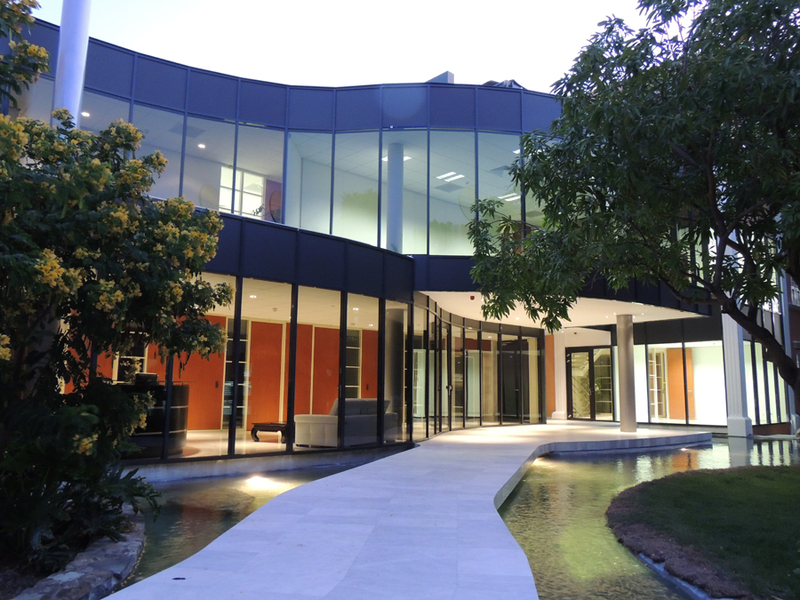 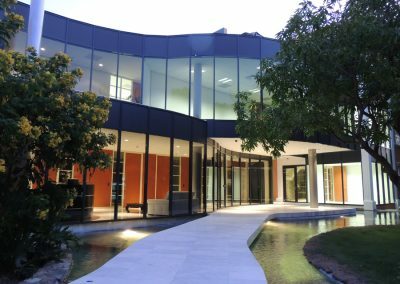 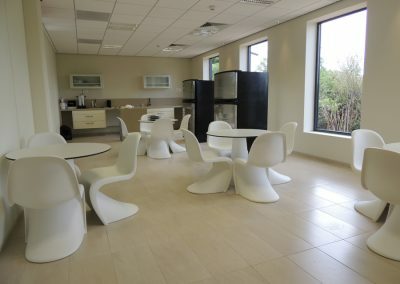 So a new, thoroughly modern-style building was designed, juxtaposing curved floor-to-ceiling glass with the square design of the 1700’s architecture. 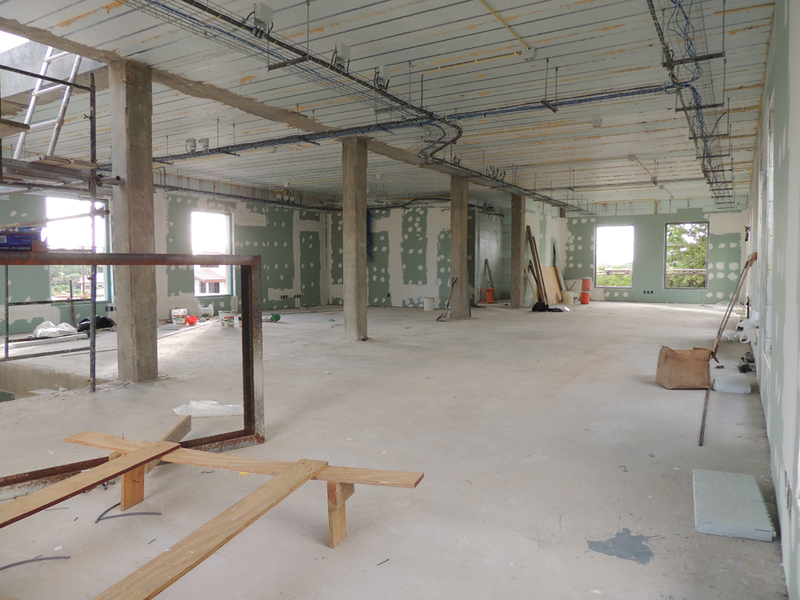 Already impressed with the foam-and-concrete walls of the bank addition, the design team used Quad-Deck for the floors of the annex. 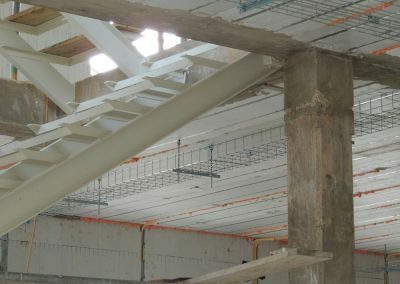 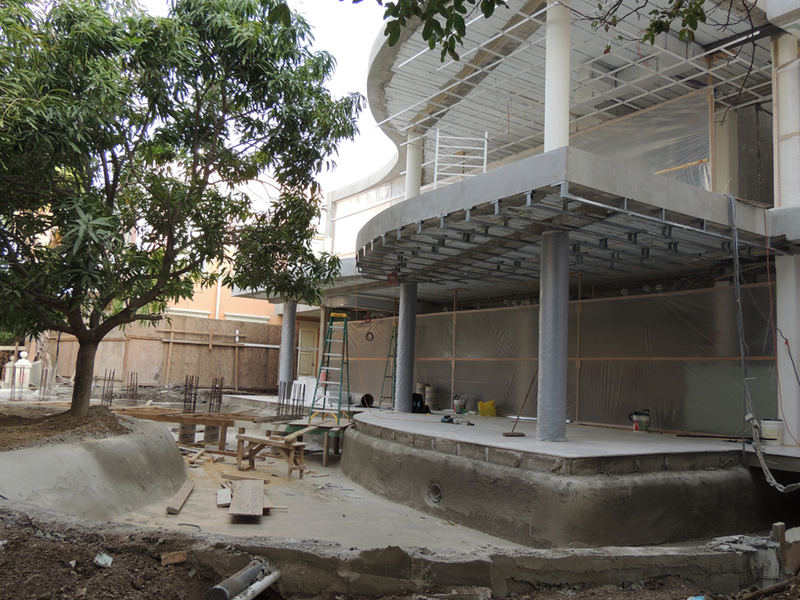 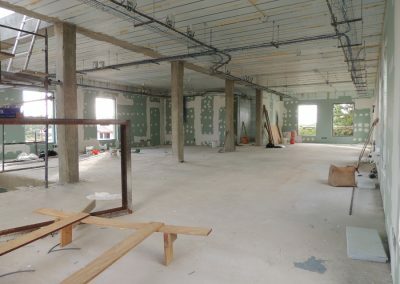 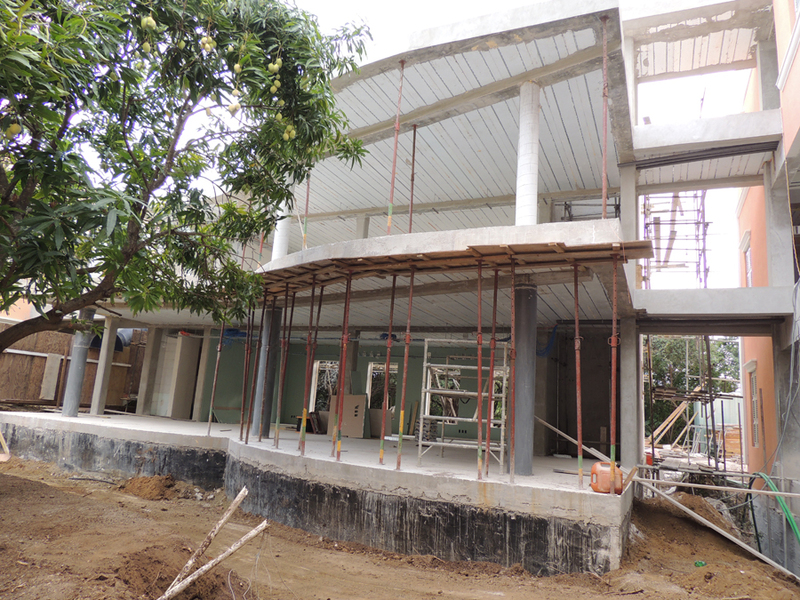 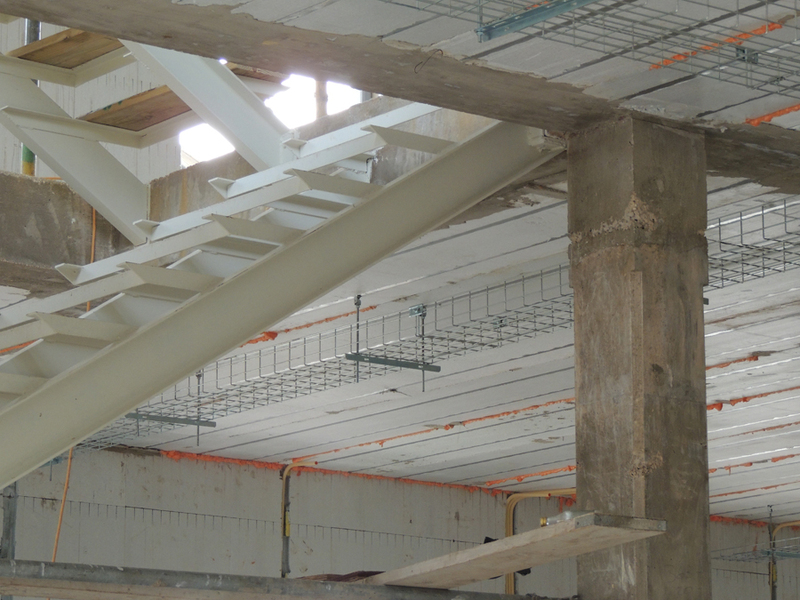 The ICF floor was cantilevered 7 ½ feet beyond the walls using T-beam floor panels, and the radius edges were cut on-site. 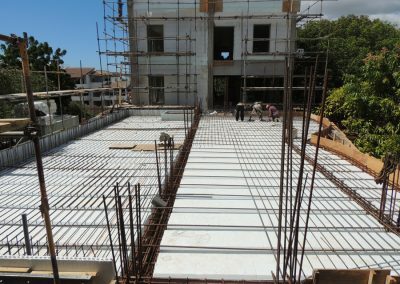 The span capacity and lightweight nature of the EPS decking also made it possible to greatly reduce the number of permanent supporting elements inside, creating more open space that is not encumbered by walls and columns. This will make it easier to reconfigure the space in the future, saving time and money on renovations for the life of the structure. 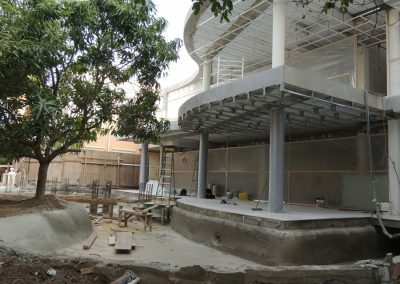 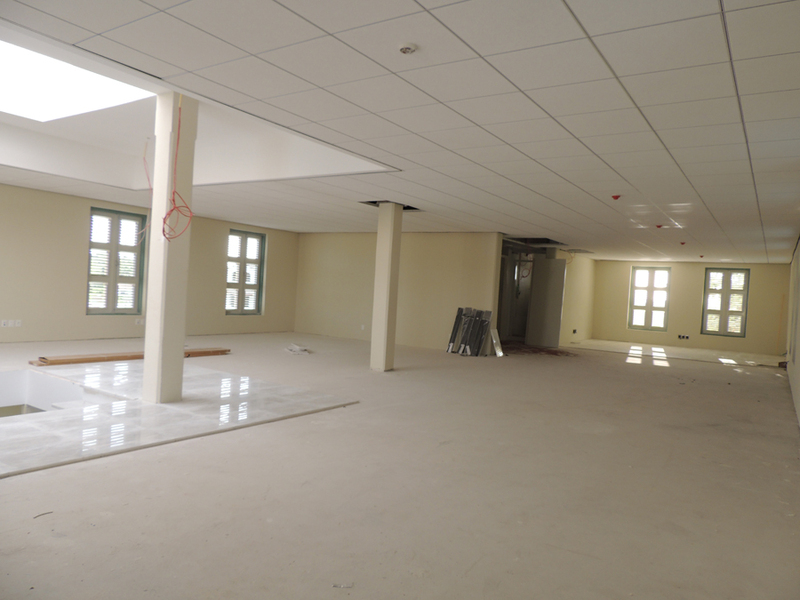 In total, the project used about 9,200 sq. 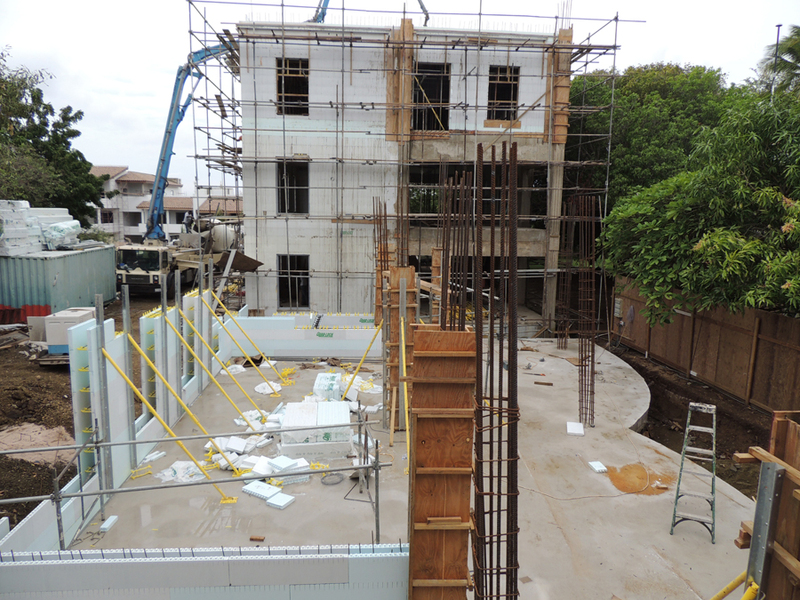 ft. of wall forms plus 10,300 sq. 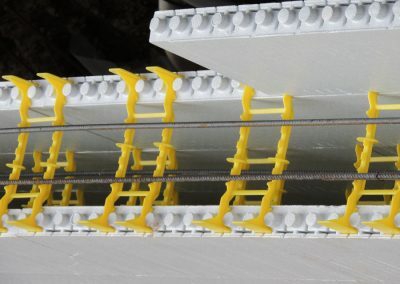 ft. of ICF decking for floors and roofs. 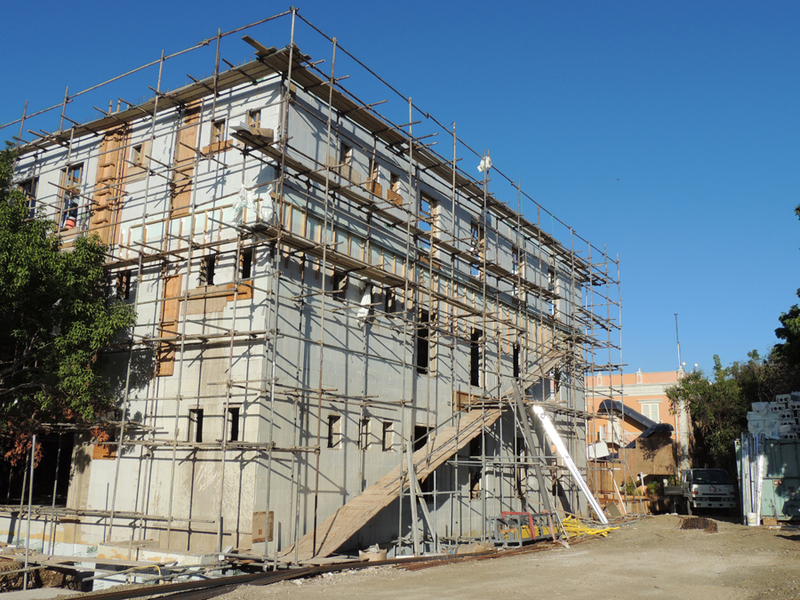 The construction team reports ICFs shortened the construction schedule by about three months, too. 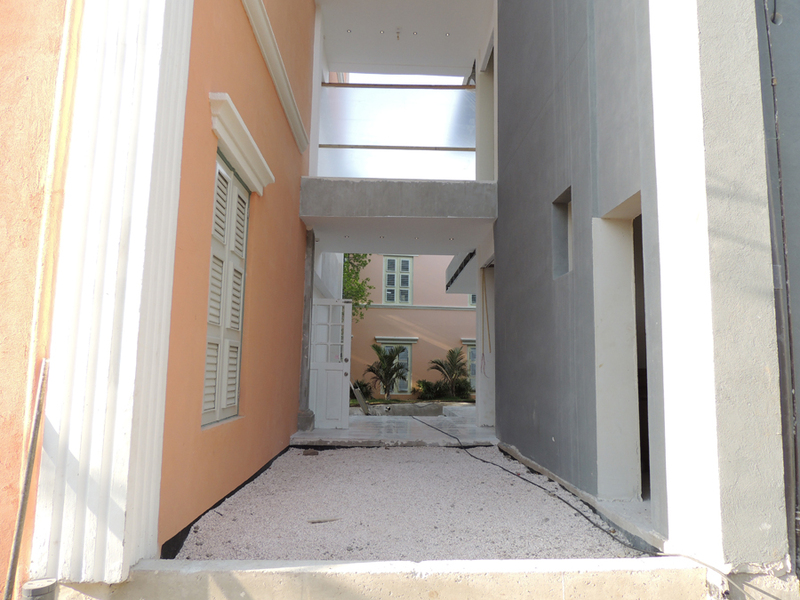 As might be expected, the project attracted significant attention on Curaçao. 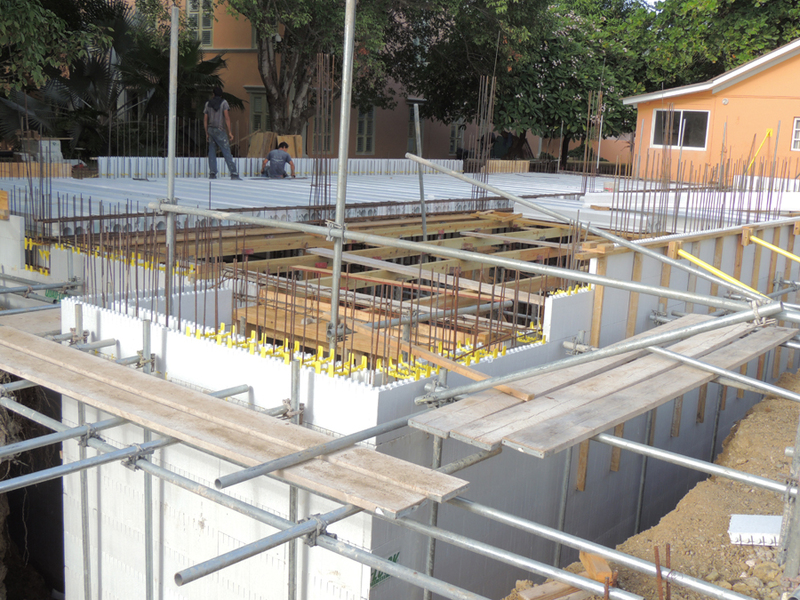 A steady stream of architects and engineers visited the site to learn how ICFs work. Many have since recommended and/or are using it in their new building projects.